Companies taking advantage of UDA Cloud Services reap the benefit of Amazon’s worldwide global network, spanning over 54 availability zones for access anytime, anywhere. Clients can rest easy knowing the cloud is a secure extension of their business as UDA provides a safe, secure data environment, including managed back up, durable storage options, and disaster recovery services. While this endeavor initially started as a way to simply provide ConstructionSuite, UDA’s flagship construction management software, in the cloud, offerings have rapidly expanded to include the hosting of QuickBooks, PlanSwift, and other programs – with or without ConstructionSuite. 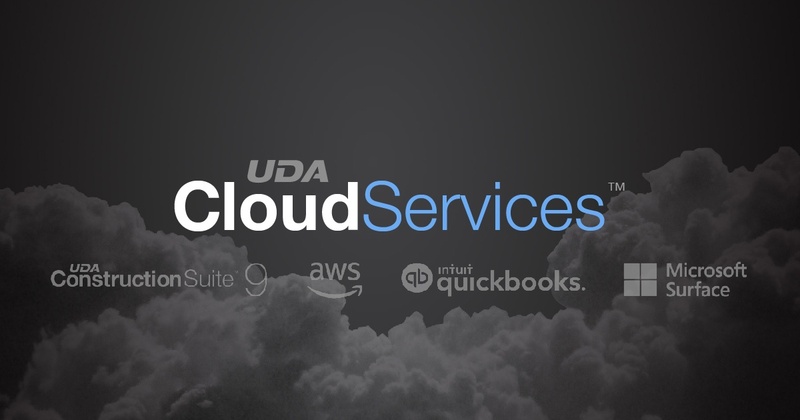 With combined expertise in construction, software, and accounting management, UDA is uniquely qualified to provide the cloud hosting solution that’s right for any and all construction firms looking to expand accessibility, improve integration, and experience long-term success. With clients in all corners of the globe, from Australia to Germany to South America and everywhere in between, UDA Cloud Services is one more way that UDA continues to revolutionize the construction industry on a global scale. To learn more, contact a Cloud Consultant today.